Exhibition: Petroleum Paradox: For Better or For Worse? ABOUT THIS EXHIBITION: This is an exhibition hosted by WCA for Spring 2012. This is NOT the NATIONAL WCA Show 'MOMENTUM' that is in conjuction with the CAA/WCA conference in Los Angeles in February. Please scroll down to enter into that exhibition. The discovery of oil, in 1859, in Pennsylvania, transformed our way of life; we are enveloped by petroleum products - from the shoes we wear, to the materials our clothes are made of, to the way we heat our houses, to our modes of transportation. Oil dependency pollutes the environment causing respiratory illness, endangers wildlife, and necessitates the large scale loss of life as we search to secure sources of oil overseas. 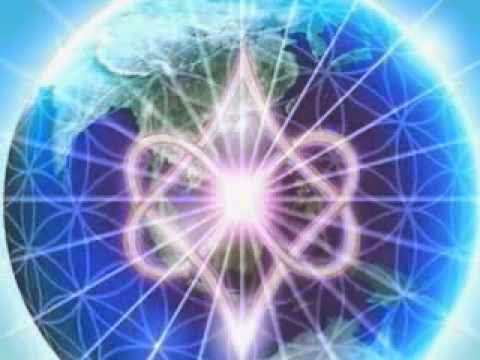 How do we initiate change with this rush to grab dwindling non-renewable energy assets, instead of focusing on renewable energy and the prevention of global warming? Our founding fathers could not have envisioned that our two-party system, with built-in checks and balances, would fail to safeguard against the tyranny of big oil companies. The failure of our elected officials to implement an effective energy policy leaves the American people in a vulnerable position. A petroleum based economy subjects our citizens to resource-based wars that jeopardizes our children and holds our standard of living perilously tied to the price of a barrel of oil. Fossil fuels are contributing to global warming and misinformation about global warming on media networks owned by major corporations, benefits the status quo. The self-interest of the American people is not paralleled by the self-interest of energy companies that seek to maximize profits at the expense of innovation and development. This exhibit seeks to raise awareness of our imperiled democracy and the Petroleum Paradox. What do you think about the Petroleum Paradox and what is happening in our oil dependent society and world? Petroleum Paradox: For Better or For Worse is a collaborative exhibition with the Women's Caucus for Art and Denise Bibro Fine Art. Please upload a current Bio and Artist Resume as the Denise Bibro Gallery will be promoting the artists selected and their work. JUROR: Eleanor Heartney, Contributing Editor to Art in America and Artpress. 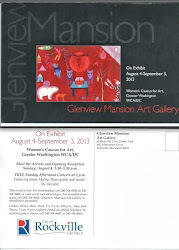 The juror will select works that will be on display at Denise Bibro Gallery. These works will also be in the exhibition catalog. The juror will select additional works that will be in the catalog only. This allows for more works to be seen that are relevant to the theme beyond the physical limitation of the gallery. 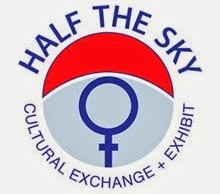 Thursday, May 24th, 2012 6-8:00 p.m.
Open to all self-identified US women artists. Artists may submit up to three works. All media is accepted. 2D works may not be more than 72 inches in any direction and installations may not be more than 5 foot square. $35 for WCA members in good standing. Must complete submission by Friday, February 10, 2012 at 11:59 PM PST. Eleanor Heartney, is a Contributing Editor to Art in America and Artpress and has written extensively on contemporary art issues for such other publications as Artnews, Art and Auction, The New Art Examiner, the Washington Post and The New York Times. She received the College Art Association's Frank Jewett Mather Award for distinction in art criticism in 1992. Her books include: Critical Condition: American Culture at the Crossroads (Cambridge University Press, 1997); Postmodernism (Cambridge University Press, 2001); Postmodern Heretics: The Catholic Imagination in Contemporary Art (Midmarch Arts Press, 2004); Defending Complexity: Art, Politics and the New World Order (Hard Press Editions, 2006) and Art and Today (Phaidon Press Inc., 2008), a survey of contemporary art of the last 25 years from Phaidon. She is a co-author of After the Revolution: Women who Transformed Contemporary Art (Prestel Publishing, 2007), which won the Susan Koppelman Award. Heartney is a past President of AICA-USA, the American section of the International Art Critics Association. In 2008 she was honored by the French government as a Chevalier dans l?Ordre des Arts et des Lettres. Denise Bibro began exhibiting the work of a diverse group of contemporary artists in corporate and alternative spaces in 1980. After showcasing work at her art salon in Union Square, 1992 saw the opening of her first gallery in SoHo. Denise Bibro Fine Art moved to its current Chelsea location in 1997, and encompasses the main gallery as well as a project space, Platform, providing over 4,000 square feet of exhibition space. Presenting and promoting both emerging and established artists, the gallery has an emphasis on painting, works on paper, sculpture, and multi-media works. The programming for Platform explores more conceptual work, including video and installation works, as well as presenting collaborative projects with other curators and dealers. Ms. Bibro also provides comprehensive advisory services for both artists and collectors. For artists, she offers portfolio reviews, promotion, publicity, and grantwriting; and for collectors, art appraisals and installation services. 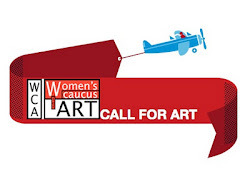 WCA is unique in its multi-disciplinary, multi cultural memberships of artists; art historians, students and educators, gallery and museum professionals, and others involved in the visual arts. WCA has focused attention on the enormous contributions of women and people of color throughout the history of art. WCA has affiliates in over 40 states. To join WCA, visit www.nationalwca.org. CALL FOR ENTRIES: for “RE/Using our Re/Sources"